The following is an information leaflet issued by The Bulldog Breed Council in 1972/73. Information leaflet for distribution by all Member Clubs to their members, as guidance to newcomers and for the good of the breed. In breeding dogs, it has to be realised that Heredity governs everything. The characteristics of the parents are handed down to the progeny, from one generation to the next, in an unending chain, nothing ever being lost, remote ancestors continuing to play a part. This is why so many breeders study pedigrees. Unfortunately, not only are the obvious characteristics of appearance and temperament hereditary, but so are health hazards, skeletal, muscular and organic. 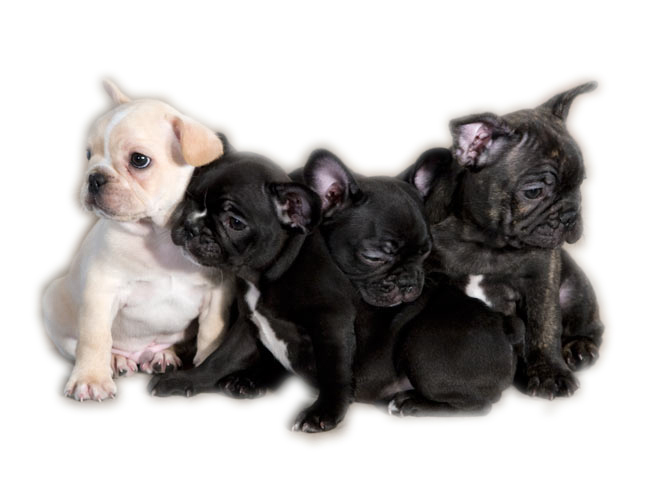 Newcomers should learn as much as they can about Hereditary Defects, as they are called, before deciding to breed a litter. One of the most serious Hereditary Defects affecting Bulldogs is Elongated Soft Palate, because it causes a dog suffering all its life, and can, in fact, be a killer. It is possible in some cases for an animal to have surgical operation for Elongated Soft Palate but it must always be remembered that, although surgery may remove the symptoms, the hereditary condition will never be removed and such animals should never be used for breeding, as it will continue to carry the “genes” , which it will transmit to its progeny. Although not all of them will show the condition, ALL will carry the ability to pass it on to following generations. 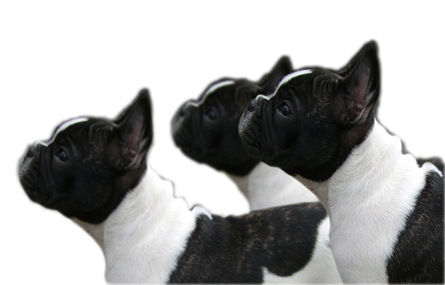 It is almost impossible to recognise Elongated Soft Palate in infancy, though it is more likely to occur in a very exaggerated short-necked pup. Laboured breathing, especially after exercise, aggravated by excitement and hot weather. Following laboured breathing, a gasping-roaring noise, during which the dog lifts its head high, and may have a staring look in its eye. In acute cases, blueness of tongue. In other words, THE SYMPTOMS OF SUFFOCATION, which, in fact, the condition is. It should, therefore. Be understood that it is acutely distressing and terrifying for an animal, and its seriousness as an hereditary defect should be realised. The condition which creates Elongated Soft Palate stems from the fact that, through years of selective breathing , the bone structure of the dog has changed, but it is not so easy to alter the organs within. Thus the very large organs of the Breathing System are being packed into a space which is too small for them, and this creates difficulty in forcing the air through too narrow passages. As the act of breathing governs the work of the heart, and every other function of the body, breathing problems are more serious than any other, and cause great suffering. If the problem of the Elongated Soft Palate is to be solved, breeders must resolve never to use an animal which is a bad breather. That is to say, one which cannot lead a perfectly normal life in the family, walking, running, leaping, within the sensible bounds which govern our particular breed. If the Bulldog Standard is considered, it will be seen that “the neck should be thick, deep and strong …. arched at the back “ (New Standard: the neck should be “Moderate in length , thick, deep and strong. Well arched at back …..” ) In some animals, the “arch of neck” is quite missing, the head appearing to be set almost on to the shoulders. This lack is one of the causes of Elongated Short Palate, for the shorter the neck, the less room within. Similarly, an animal with a very short muzzle and flat nose, has less space for his breathing apparatus than one with greater length within from nose to throat. In other words, looking at the outside appearance, we must also remember what has to be accommodated within, and always avoid Exaggeration of any point. 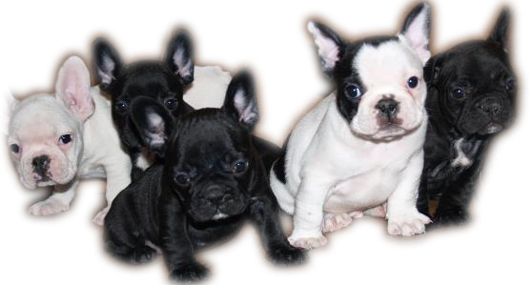 The aim of breeders should be a fit, healthy, active dog. One having an Elongated Soft Palate could never claim to be that. This was written over 40 years ago for Bulldogs but much remains just a pertinent today for French Bulldogs.